A woman who had suffered from eczema for as long as she can remember has given up all treatments in a bid to embrace her natural inflamed skin. 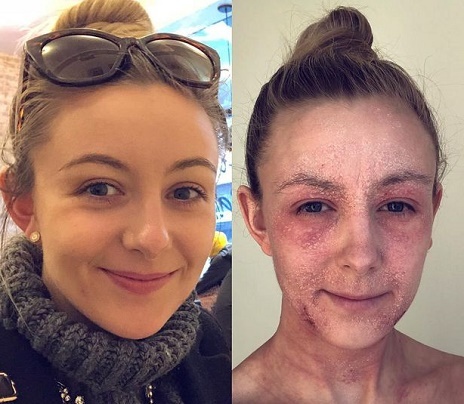 Before eczema took over Laurie Williams' life, she could treat minor flare-ups with E45 cream and summer sunshine, but it got increasingly worse spreading to around 70 per cent of her body, including her face. The events planner from Birmingham ended up being prescribed steroid cream to use twice a day, and was later given antihistamines as she was losing sleep due to her scratching. 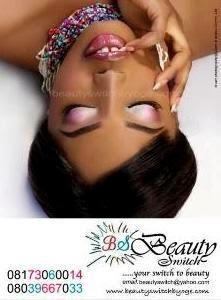 "I've had eczema since I was little, but it's always been manageable with flare ups mostly in winter," said Laurie. "The furthest back I can remember is when I was about eight years old and I just had it in the creases of my arms and legs. 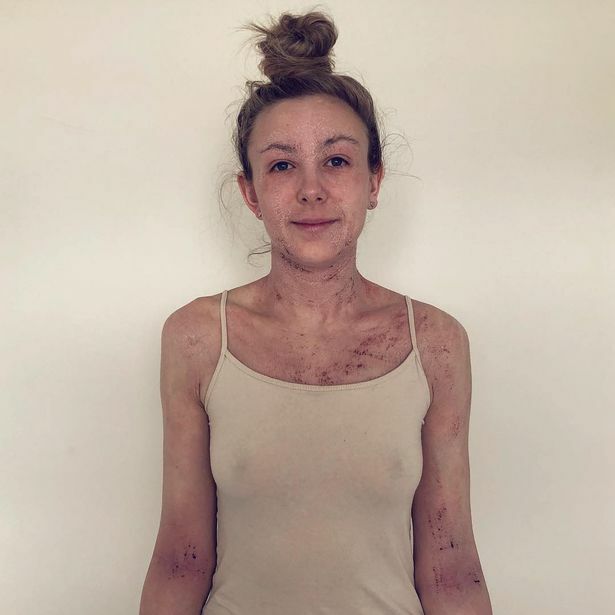 "I now have small scars all over my body from where I've scratched, and the cut has been so deep and was scratched so many times in the same spot that I've scarred my skin." 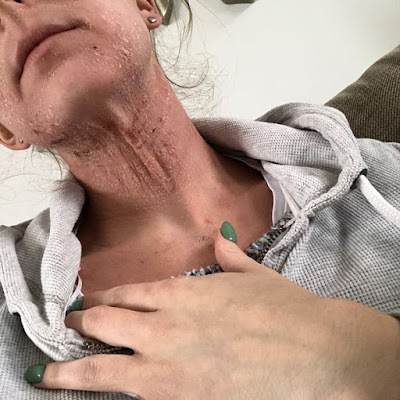 After not seeing much improvement by the end of last summer, the 26-year-old started researching topical steroid withdrawal (TSW) after spotting people on Instagram warning others of the dangers of what she was applying. In January 2019 Laurie stopped using all steroids and creams in favour of treating her skin naturally. 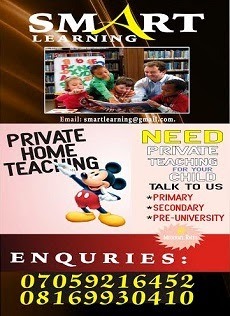 She explains it is her best choice!